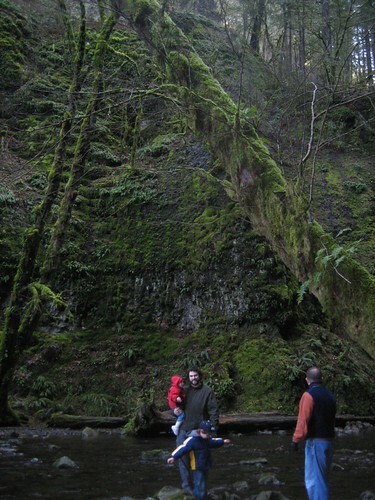 Recently, we drove out to the Gorge to some of our favorite spots with an old college friend. It’s about an hours drive, but we’re entertained most of the way by the kids screaming “waterfall!” every time one is spotted. 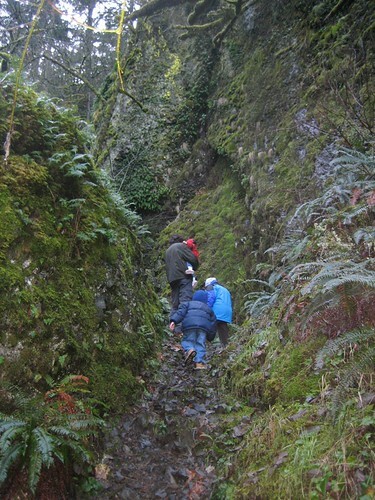 In Gorge, this means the car was not a quite one by any means. It was very cold and everything was wet from some recent snow, but it was gorgeous. We didn’t make it up the canyon to see the actual Falls because of log debris and high water which the kids couldn’t maneuver, but everyone still had fun. 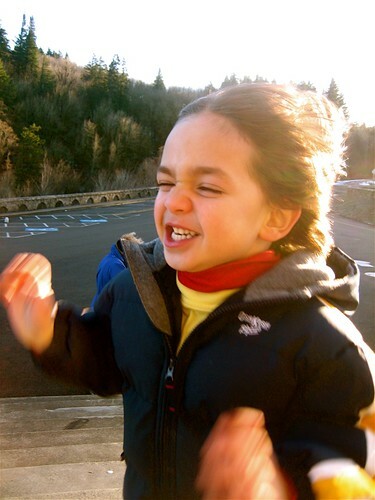 Augie and his little 40 pound body could barely stand without being pushed over by the wind. And he loved every minute of it! This was one of the Christmas presents I made for my kids as well as all the cousins. It’s what I was writing about here. The whole thing came out just as I imagined thanks to a little inspiration from here and here. 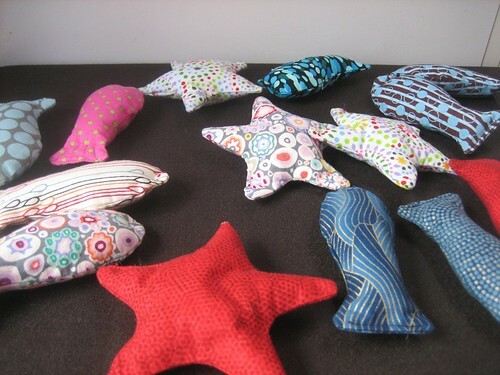 Each set comes with 15 fabric fish and starfish that are lightly stuffed with a magnet sewn into the fish noses or starfish tip. 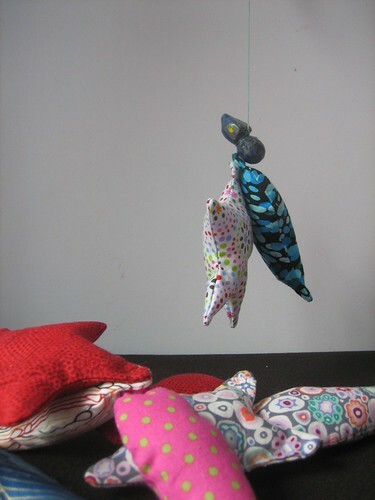 I sewed the magnets in place to keep them from moving around and getting lost in the fish. The kids can alway rely on the magnet being in the same place therefor it helps with the “catch”. 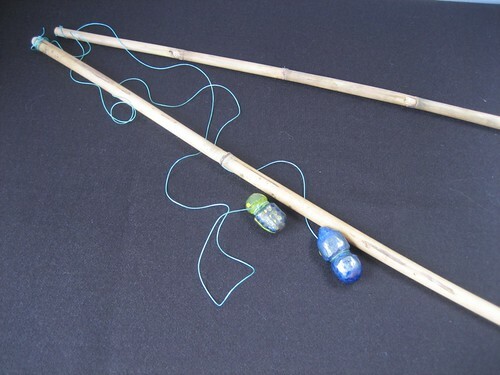 These fishing sets were fun to make and I love watching the kids play with something made by both Mom and Dad.